Remember a long time ago when I had time to make self-deprecating references to my lack of domestic skills? When I joked or whined or got pissy(?) about cleaning and errands and messes and chaos and the state of grunge and rental woes? Oh, you're just being polite. Or you're new here... have we met? Well, I have been known to share brief moments of sanitary lapses and glimpses in to my "dirty" laundry, and I have always said that I prefer to be honest, than to gloss over the whole truth. I just thought I would say: It's even harder to take care of two houses! And falling deeper in love with the place we call home. The falling in love part is the best! 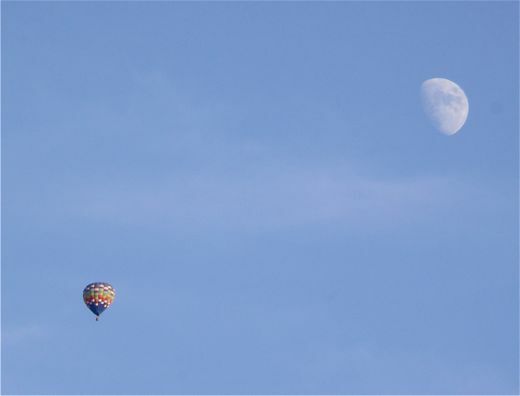 I'm going to try to copy your balloon and moon photo into an email. Hope it's ok! Hi, Very amusing and a great read. 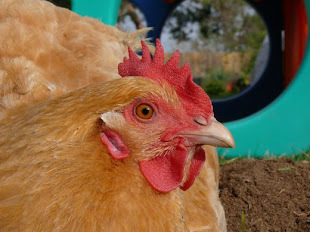 I don't know if your chickens in the picture are a common breed but we have two like yours and we live in France. My story started this year when we inherited 5 chickens after we moved to France from England..
We have a chicken like yours and we live in France. I am very much a novice but maybe they are common or very popular, yet to find out lots more. My amusing story starts when we move to France from England this year and inherit 5 chickens that came with the property.